Pros: A skilled and respectful performance from Cheryl Knight. Brilliant writing. Cons: Hard to know where the original material ends and the performance begins. A perfectly pitched tribute to Joyce Grenfell that will satisfy old fans and attract many new ones. Golly, Turn Back the Clock is splendid! 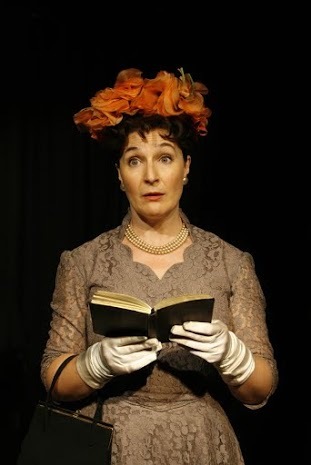 Cheryl Knight pays tribute to Joyce Grenfell with an intimate review show in the St James Studio. Grenfell was, in my family as in so many others, a byword for hilarity, but I knew her mostly for St Trinian’s, had seen very few of the sketches and knew nothing about her life. So I approached the show feeling both proprietorial and ignorant – fearful that justice might not be done to Granny’s favourite, but aware that I was not really qualified to judge. As far as I could judge, it was sincere, accomplished and charming. 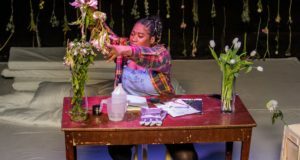 The show mixes songs and sketches with a selection of Grenfell’s letters to her ‘Darling Ma’ and various friends. Knight must have had reams of material to choose from, and seems to have made judicious choices which showcase the variety and perceptiveness of Grenfell’s work, as well as giving an insight into post-war Britain. There is wonderful comedy, but also tremendous pathos and social commentary, particularly in relation to the women of that era. There are, of course, the jolly hockey sticks ladies, but also suburban housewives, spinsters, unmarried mothers and elderly tea-dancers. 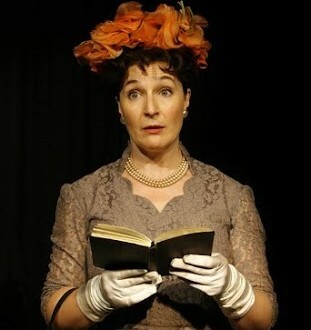 The middle-aged lady in ‘First Flight’ is travelling to New York in the early days of transatlantic flight. She is going to visit her ex-pat son, with his new wife and their mixed-race children. In between laughs at her expense, there is also great empathy with her fear of the many unknowns: her emotion, when she sees the family waiting, and hopes that she’ll “do it alright”, is completely timeless. In ‘Telephone Call’, we see an unmarried sister torn between the demands of an ageing father and an impatient suitor. Dad wins. Quite hilarious and no less perceptive are ‘Hymn’, in which a very respectable church-goer remembers that she has left the soup on at home, and ‘Lumpy Latimer’, about a school reunion. Lumpy telling Mamzelle her married name – Clinch – in a French accent, is just genius. Cheryl Knight bears only a passing resemblance to Grenfell, but absolutely captures her spirit. She wears those gorgeous full-skirted dresses, white gloves and hats with casual elegance, always has a twinkle in her eye and an infectious enthusiasm that really makes you feel you’ve been welcomed into her drawing room. Knight has a lovely voice, and whilst she mimics Grenfell’s rather old-fashioned RP pronunciation, it never feels anything other than respectful and affectionate. It’s hard to know how much of the delivery is copied straight from Grenfell’s recordings, and how much is Knight’s own creation, but the physical comedy and goggly eyes that she delivers during the song ‘Unsuitable’ are brilliant, whatever their origin. A quick mention should also go to accompanist Paul Knight. He doesn’t get much involved with the acting, and yet establishes his character within 10 seconds of being on stage, just by a raised eyebrow and a bit of gesticulation. Evening suited and bow-tied, he is the straight man to Knight’s golden girl; the sturdy maypole around which she can weave her magic. 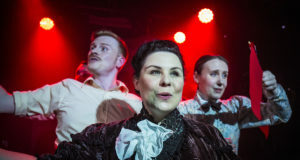 When it comes to summing up the show, it’s hard to avoid old-fashioned adjectives like ‘joyful’ and ‘gay-in-the-old-sense’. It is every bit as funny as I hoped it would be, but rather more moving than I expected. Cheryl Knight and Paul Knight have taken Grenfell’s wonderful material and shaped it into a loving pastiche that flows beautifully and works both as memento and introduction.